KiteGen Research » Why invest in KiteGen? The belief that a further economical development based on energy from fossil fuels is not sustainable is now widespread and scientifically justified. Both for the environmental burden resulting in structural changes caused by fossil fuels on the climate and ecosystems, and the intrinsic economic and geopolitical limits of these sources which already cause tensions on economies and debts of the states. In fact the concentration of fossil resources in some countries and their increasing extraction costs are a paramount concern for the future economy. KiteGen is in consonance with the economic school which considers the limit of resources, in particular energy, as the explanation of the systemic crisis in which we are plunging. This vision entails, in addition to an interest in a modification of the basic materials of consumption, the need for a transition to renewable energies that are not only environmentally friendly but also cost compatible and therefore industrially and socially useful and productive. The abundance of these energies, if addressed in a way that respects the environment, can help to restore energy flow in a system that would facilitate the transition to a different economic paradigm, and to help remedy the environmental damage now in place. The KiteGen project was designed to explore the marginal resources available to mankind still. The tropospheric wind proved to be the absolute best source; abundant, constant, focused, able to restore itself , sustainable and geographically well balanced. 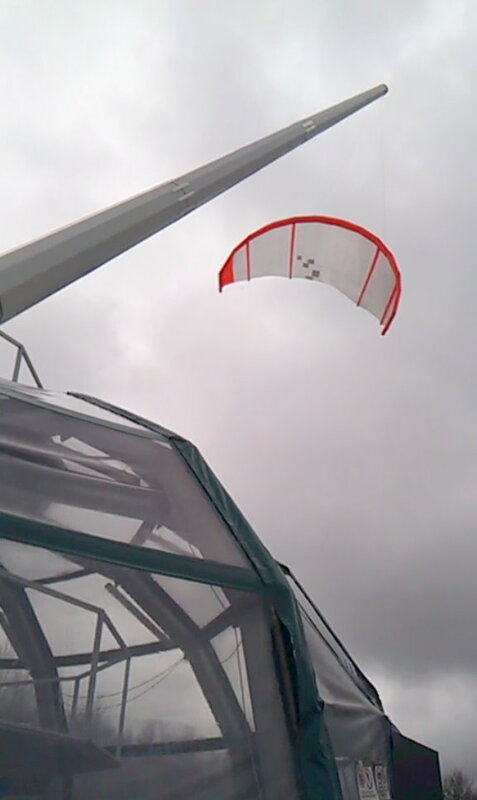 In its current stage of development, KiteGen has successfully identified the best technological solutions for the exploitation of high altitude winds. These solutions, while presenting a high level of complexity, allowed to implement the constructive definition of the first models of high-altitude wind farms on an industrial scale. The production of a first lot of machines KiteGen STEM, characterized by a sufficient standardization and operational reliability, it is now possible and will allow the beginning of a diffusion of KiteGen on the territory that will permit the beginning of a rapid learning curve. The field of energy from renewable sources is certainly, in the economic and financial climate, one that offers the best opportunity for economic growth. 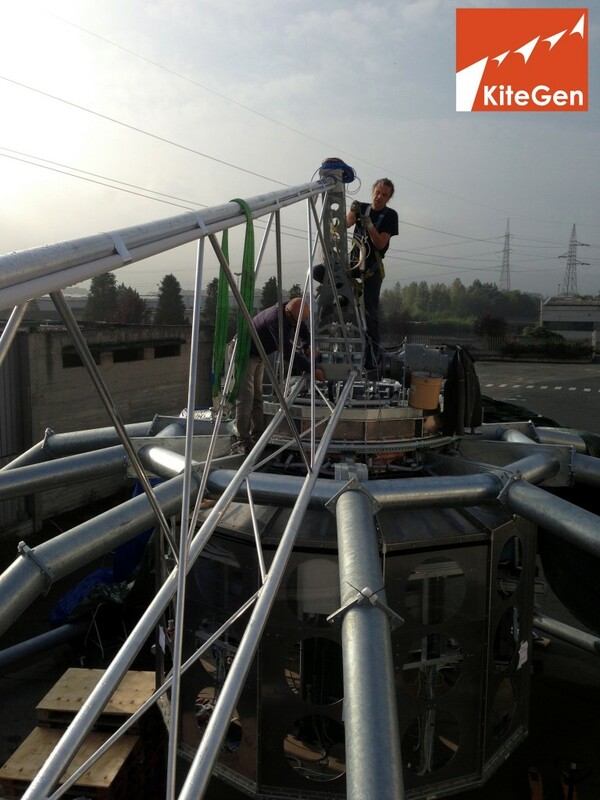 The KiteGen, thanks to the large amount of energy it can produce, without accumulation, is a real alternative to the decline of fossil fuels and this has already collected levels of interest on every continent, where the proliferation of the technology is just waiting for the conclusion of the activities aimed at the industrialization. The project has been the subject of numerous scientific and technical “peer review” assessments. The most authoritative sources have in fact attested to the validity of a comprehensive plan. ENI Award conferred for a PhD thesis on KiteGen, the work carried out by ENEA – Research on Electric System SpA (“CESI Ricerca” in 2008) on wind energy at high altitudes, the awards from NASA and other prominent actors in the research landscape in the energy sector, the dozens of theses and dissertations to analyze the system in its premises and its components, the number of new international actors that weekly face the field of wind generation in altitude, are significant and repeated proofs of the goodness of the project. KiteGen has appeared in the media of every country: Scientific American, Nature, Sun & Wind Energy, Il Sole 24 Ore are just some of the hundreds of publications that have spoken of KiteGen, in addition to numerous radio and television footages in Italian, French, German, Swiss, Japanese, Korean, etc.. The KiteGen has participated in numerous national and European calls, always receiving excellent evaluations. It is sufficient to mention (at national level) the Fund for Technological Innovation FIT and FIT-DIGIT, being among the first in the ranking of both. The project was also supported by the European Commission, which funded a research application for a naval generator (www.kitves.com). The KiteGen technology is protected by an asset of 22 patents [link to the list of patents held, with their state grant and the book value] plus more than 120 extensions all over the world. 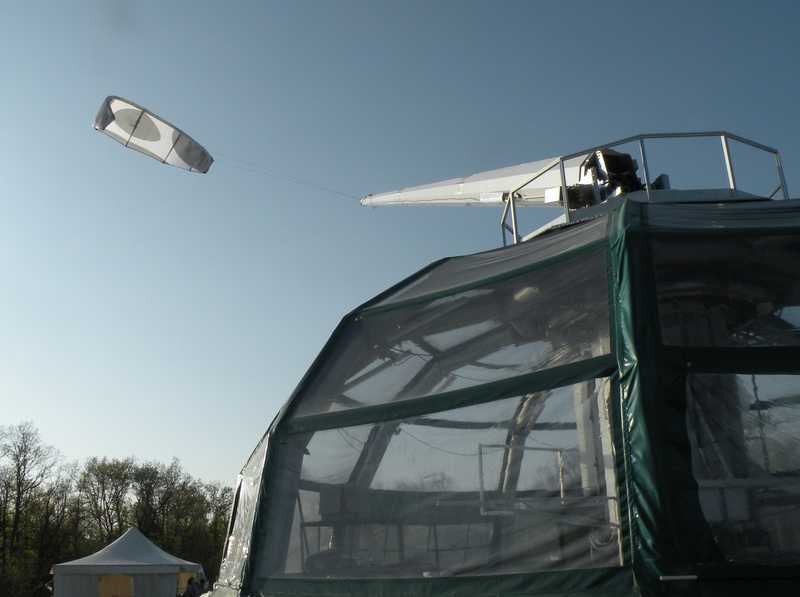 Already in 2006 KiteGen successfully tested a 40 kW prototype (see video of a test session), establishing a lead of at least 5 years on the most popular competitors worldwide and it holds currently the most advanced technological experience of this sector potentially crucial whole of humanity. Excellence that we want, if conditions permit, to continue developing in our country/continent, as the Italian and European contribution to the solution of energy problems and climate of the planet.